HAVANA, May 6 (Xinhua) — An international tourism trade fair opened in Cuba on Tuesday, featuring a growing number of the country’s privately-owned businesses. In an opening speech, Cuban Tourism Minister Manuel Marrero highlighted the growth of the tourism industry, noting the number of visitors has grown 5 percent so far this year. “Tourism is an activity that impacts our country’s cultural, social and economic spheres,” Marrero said. Taleb Rifai, secretary general of the World Tourism Organization, praised Cuba’s tourism promotion policies and their results. He said Cuba’s tourism growth is a reflection of the industry’s general development in the Caribbean, thanks to strategies to diversify tourism products beyond the traditional beach getaways. “Travelers are more educated today, who demand vacations with cultural and educational aspects,” he said, adding Cuba offers a great product that combines history and hospitality. Since assuming power in 2008, Cuban leader Raul Castro has introduced a series of market-oriented reforms to revive the country’s economy, allowing free market enterprises to be set up and encouraging self-employment. In the past six years, more than 2,000 private restaurants and 7,250 privately-run rooms for rent opened on the island, according to the Tourism Ministry. 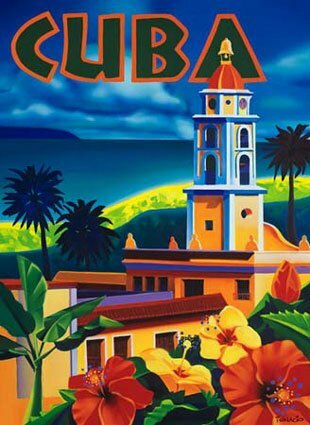 Cuba now offers a total of 60,000 rooms at approximately 300 hotels across the country, and receives more than 2 million visitors annually.